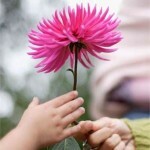 Our third blog in the series talks about taking the first steps toward an Estate Giving Program. Your charity should consider increasing marketing and communications of any Bequest Gifts that have been received (gifts via an Estate/Will). Bequest gifts represent approximately 85 to 90 % of all deferred estate gifts. It is both easy and helpful to include some simple Estate Gifts language in all donor communications (including your website). Step 1: As a start, tell donors how easy it is to include a charity in their wills. Don’t forget to add that if they have not made a will, the government will decide who inherits their estate. 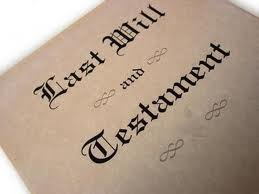 We/I would like information about estate giving (bequest in my will). Step 3: Wills must clearly document the donor wishes. “My estate trustees shall pay ______% of the residue of my estate to ABCD Charity, Toronto, ON, for the purpose of supporting the highest priority* needs as determined by the ABCD Charity’s Board of Directors. “My estate trustees shall pay the sum of $ ______ (or transfer assets with an equal value) to ABCD Charity, Toronto, ON, for the purpose of supporting highest priority* needs as determined by the ABCD Charity’s Board of Directors. It is not unusual for an organization to use a “business name.” For instance often a shortened version of the legal name may be the initials of the legal name. Ideally a Will includes the full legal name of the charity(s), mailing address and Charitable Registration number. * Note: It is important that the Will clearly identifies how the Bequest Gift should be used. “Highest priority” allows the charity’s Board of Directors to choose how the monies will be used, taking into consideration current priorities. In the event that you wish to direct how the monies will be used, it is VERY important that your directions are not so restrictive as to make it difficult (or impossible) for the charity implement your wishes. Coming up next: What motivates Estate Givers?